This is our hand picked selection of fiction for older readers up to age 12, including early chapter books, middle grade and graphic novels. Many of our non fiction and activity books are also suitable for older readers. 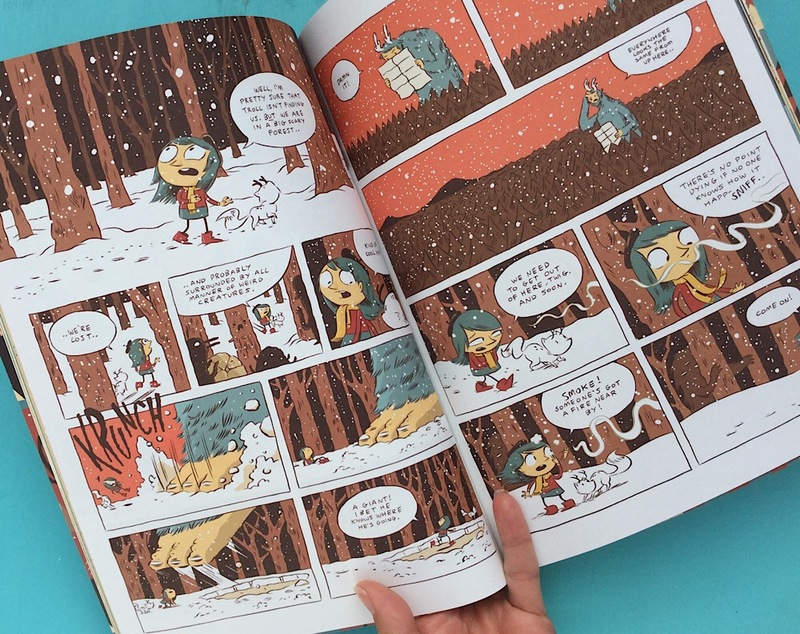 This is the very first outing in Luke Pearson's ever-popular series of magical Hilda adventures. Hilda can never sit still for long without setting off on another adventure. She can't resist exploring her enchanting world--a place where trolls walk, crows speak, and mountains move. The magic and folklore of the wild, windswept North come alive in this book about an adventurous little girl and her habit of befriending anything, no matter how curious it might seem. While on an expedition to illustrate the magical creatures of the mountains around her home, Hilda spots a mountain troll. As the blue-haired explorer sits and sketches, she slowly starts to nod off. By the time she wakes up, the troll has totally disappeared and, even worse, Hilda is lost in a snowstorm. On her way home, Hilda befriends a lonely wooden man, and narrowly avoids getting squashed by a lost giant.